Whilst writing my 2015 goals post I decided to have a look back on my resolutions for 2014 (you can read the original post HERE). I was interested to see how successful I had been and thought revisiting my 2014 resolutions before sharing my 2015 goals might be interesting. Looking over last years post I was pretty successful (which is surprising). I felt like I had written all about them but then forgotten about them. I think they must have found their way into my subconscious because I somehow found myself following them most of the time. Whilst I think looking to the future is important, a little bit of self-reflection never hurt anyone! I canceled all my sample box subscriptions, though I did sign up to The Parcel late last year (no regrets yet either). I consider this a success as I cancelled all the subscriptions I had at the time and did not renew them. Whilst I didn’t completely eliminate the impulse shopping, I was a lot better than previous years. There was only two times I really fell off the wagon and I was shopping at Chadstone both those times. So my 2015 goal should probably be – don’t go to Chadstone. I am better at limiting my purchases, especially from new collections/ranges. Example – the recent spring collection from Chanel, I wanted all of the nail polishes but limited myself to one (and the most unique shade). I think the blog overhaul was going pretty well until I lost all my mojo and decided to quit (for the a while anyway). This is something I plan to continue working on, now and into the future. This is something I really struggle with. I have a stressful home life and am an emotional eater. This is not a good combination. My work hours also make it difficult to eat properly during the day. I am slowly working on it though and progressively making changes where I can. This is a work in progress & I have a post coming up about it in the next couple of weeks. Stay tuned! I have both failed and succeed at this. I started back at university early in 2014 and hated it. Again. All the issues I had with my mental health when I was originally at university started to come back. I decided after talking to my family, that the issues university caused me weren’t worth it and I did not enroll in any subjects for second trimester or this year. I am much happier for it. University just wasn’t for me. I spent all my high school years studying so hard just to get to university by the time I was there, I had just had enough. In better news, my career did take a step forward in May 2014. It wasn’t really the step forward I wanted but it was a step forward. I moved up in positions and responsibility but unfortunately the position is only part time – 5 hours a day, 5 days a week with a 35-minute commute each way. I am enjoying the challenge and working towards that next step forward. Even though I can be hard on myself around my career and dropping out of university, really I am doing okay for someone turning 24 this year. In the end though, being happy is more important than anything else. 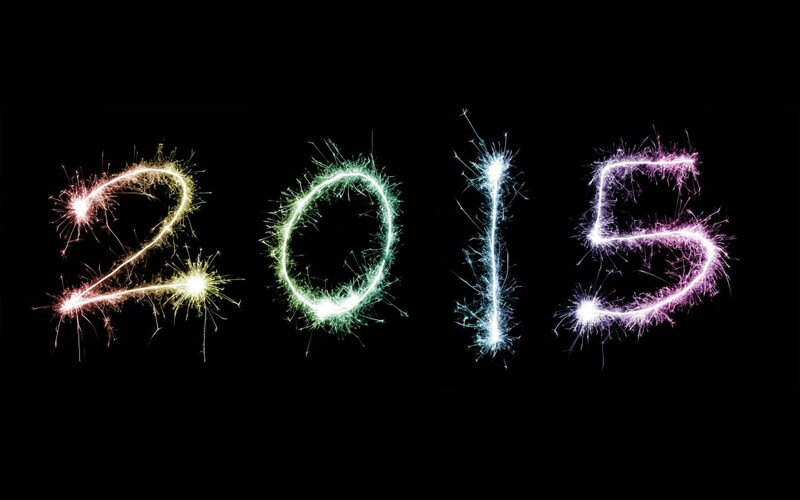 My 2015 Beauty Goals should be up in the next few days – stay tuned! 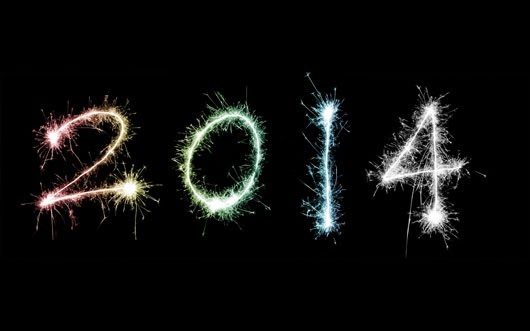 How successful were your 2014 resolutions? Since today is Australia Day I thought it was fitting for Luxury on the Lips to celebrate some great Australian beauty brands. When compiling this post I released just how many great Australian beauty brands we have. There are so many skincare brands that are dedicated to producing high quality, locally produced and cruelty free products. Makeup brands are great quality and so affordable (often more affordable than the big overseas based drugstore brands). Great hair care and fragrance brands round out this post to give a bit of an overall view of the Australian beauty market. The following are in no particular order, well actually they are alphabetical, not in order of greatness (because they are all equally great). Australis is the brand I remember from my teenage years (which feel like they were AGES ago). Australis was launched in 1987 and I remember them originally being called Colours of Australis and having a sun in their logo. Australis is super affordable and are constantly updating and expanding their range to be on-trend. Some great products from Australis include the AC on Tour Contouring & Highlighting Kit, Cray for Colour Eyeshadow Sticks and Velourlips Matte Cream. Website HERE. Evo is an Australian brand based in Adelaide with the motto ‘saving ordinary humans from themselves”. I love this cheeky brand; the descriptions on the product bottles always make me giggle. Evo is free from the nasties and great for sensitive scalps. My favourites from Evo include The Great Hydrator Mositure Mask (my Holy Grail hair mask) and Icon Welder Hot Tool Shaper. Website HERE. Face of Australia (FoA) is another brand I remember from my teenage years, FoA was launched in 1997. It was an black eyeliner from FoA that I used to use and use badly. Think thick black lines on the lower lash line and nowhere else, yeah not a good look (actually I am kind of embarrassed about it…). Some favourites from FoA are the Impact Curl Mascara and I cannot go past the limited edition nail polish collections. Website HERE. Glasshouse Fragrances is my absolute favourite candle brand and being launched in 2006, they are still a relatively new brand. The candles they produce are amazing I haven’t purchased one that I didn’t love. Even better all their products are made in Australia. My favourites are Bordeaux, Cuba and the limited edition releases. Website HERE. Another great cosmetics and skincare brand with affordable prices and quality products. I haven’t tried a lot from Innoxa, only bodycare products and lipsticks. The Summer Matte Lipsticks are my favourite - on trend colours, great pigmentation and super comfortable to wear. Website HERE. This brand makes my Holy Grail skincare product for winter. I swear by the Certified Organic Rosehip Oil to keep my skin hydrated and healthy in the cooler months. Kosmea is a brand dedicated to bringing quality natural products to everyone’s reach. The Rescue Balm also makes a great lip balm. Website HERE. Lanolips produces some of my favourite lip products. I adore the original 101 Ointment; it is so good at soothing my dry and sore lips. It is a handbag essential. The range has recently expanded to include the ‘Fruities’. That is 101 Ointments in apple, peach and strawberry. There is also a Banana Balm, which smells exactly like bananas and leaves the lips looking lush and shiny. A new product to me is the Hand Cream with Antibacterial, which I am really enjoying. Website HERE. Models Prefer is a Priceline owed brand that was launched in 2011. It is a great budget friendly brand with a massive range of products. My favourites include the Infinite Colour Shadow Pencils and the quality range of brushes. Models Prefer does not have its own website but you can view the products on the Priceline website HERE. Sukin makes great skin and body care products that are perfect for sensitive skins. They are free from all the know nasties (and some I had no idea about), Australian made & owned and are carbon natural. I love the Hydrating Mist Toner and the Sensitive Soap Free Body Wash was great on my dry winter skin. I love the Sukin motto – ‘Skincare that doesn’t cost the earth’. They mean that in more than one-way too! Website HERE. Us Australians really are blessed with our range of quality Aussie brands. I love that these brands produce affordable and quality products with many of them made in Australia (yay for Aussie made & keeping jobs in Australia). The other thing I love with the above brands is that they are all animal cruelty free (Models Prefer hasn’t been certified (as far as I know) but does claim cruelty free). I hope you all have a great Australia Day and celebrate by supporting some of these amazing Australian brands. What are your favourite Australian beauty brands? What are you doing for Australia Day? The collection is inspired by the romantic atmosphere in Paris, when winter is ending and spring is beginning. The collection contains two blushes, two eyeshadow quads, lipsticks, lip glosses and nail polishes. The eyeshadow quads didn’t interest me (I’m a neutrals girl through and through) and I would have liked more of the lip and nail products, the budget was tight after Christmas (and I had just splurged on the Tom Ford Lips & Boys collection). I ended up only purchasing 3 items – a blush, lipstick and a nail polish. This isn’t a full review, just an overview of my picks from this collection. Let me know if you would like a full review of any of the products. This is really the star of the collection. A beautifully embossed soft neutral-pink blush, the embossing is amazing. Not just a pattern pushed into the blush, it almost looks like carved flowers. I noticed instantly that this is quite fragranced, Chanel products are always fragranced but this is stronger than normal. On me (thanks to my naturally rosy cheeks), it is a more pink than it swatches. The other thing to note with this blush is the price to weight ratio. This blush cost AU$90.00 and it is only 3g in size. As a Chanel fan/collector this doesn’t stop me from making the purchase (obviously). Though I could understand those who don’t always purchase ‘high end’ products and want value for money being put off by the size/price. It is well and truly the smallest blush in my collection and for a comparison – a Tom Ford Cheek Color retails for AU$85 for 8g. I love the Rouge Allure Velvet formula; they are a comfortable and long lasting matte lipstick. That being said La Romanesque has a slightly more satin finish than the Velvets normally have. La Romanesque is a medium fuchsia shade. With my pale skin and naturally pink lips, this becomes a little more of a berry shade on my lips. Another price to note – these have gone up $2.00, they used to be a straight $50.00. I loved the look of all three polishes in this collection but online swatches were a little disappointing, especially one shade I was originally sold on (I’m pointing to you Paradisio). Since I already have plenty of pinks in my nail polish collection I settled on Tenderly. It is muted mauve shade and unique to my collection. To me it comes across as a sophisticated purple that I wouldn’t mind wearing to work. The swatch of Jardin de Chanel Blush Camelia Rose shows more coral above than it really is. La Romanesque is a pretty accurate swatch. No swatch of Tenderly, I think I will do a NOTD post using it - if you are interested. There you have my picks from the Reverie Parisienne Collection. All up I think it is a beautiful and feminine collection. Perfect for spring. I am looking forward to adding these products into my daily routine; I can already see La Romanesque becoming a favourite. Did you pick up anything from the Reverie Parisienne Collection?